Be the first to know when a new show airs & sign-up for our Podcast Newsletter! In episode 3, we’re going to flip the switch from talking about our origins to practical advice for starting your journey as a natural living family. Especially if you need tips for overcoming objections from well-meaning friends and family. You might think – How do I deal with family who don’t like my healthy choices? But what if you could use that label to your advantage? Today, we’ll be talking about how to overcome the stigma associated with natural living. We’ll also provide some of our tried and true green living tips for shopping, nursing, and eating out. We even have advice on how to handle the non-organic lawn care salesman who shows up at your door. Mama Z will also share how she helped our daughter overcome lice naturally and her essential oil protocol so you don’t have to use harsh chemicals if these pests pay your home a visit! We’ll wrap up with a look at what’s ahead and a great tip for bulk shopping. So pull up a chair and join us to overcome your hesitation about becoming a natural living family. And before we get any further, we want to give a huge shoutout to our friends at Thrive Market. Special Price Just for Natural Living Family Readers! Get 25% OFF your first order just for being one of our readers. Start your Thrive Market shopping list here and enjoy a free 30-day trial. We are grateful for their belief in us and this podcast and are proud to introduce them as our podcast sponsor for the month of February! 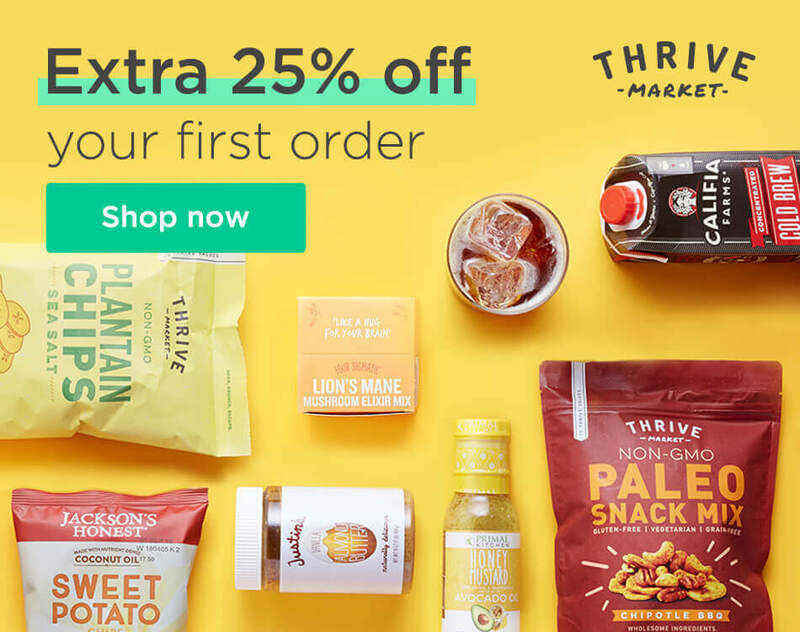 Thrive Market – Save 25%! The contents of this presentation are for informational purposes only and are not intended to be a substitute for professional medical advice, diagnosis, or treatment. This presentation does not provide medical advice, diagnosis, or treatment. Always seek the advice of your physician or other qualified health provider with any questions you may have regarding a medical condition. Dr. Z: There’s a gray line between truth and falsehood. Are you allergic to gluten? Or are you sensitive to gluten? How do you really define that? Are you allergic to dairy? Or are you sensitive to dairy? Mama Z: Because I definitely guarantee that you are allergic to the Roundup that is generally in regular grains. Dr. Z: Yeah, there are so many ways. So I don’t want you to feel like, “Oh. Well, I’m not celiac. But I’m not officially—” No, no. Mama Z: If you go wavering, they’re not going to do anything for you. You have to be confident just like you are with breastfeeding and other things. You go in there confident and strong. Dr. Z: Hi! This is Dr. Z.
Mama Z: And this is Mama Z. And welcome to episode 3 of our Natural Living Family podcast. 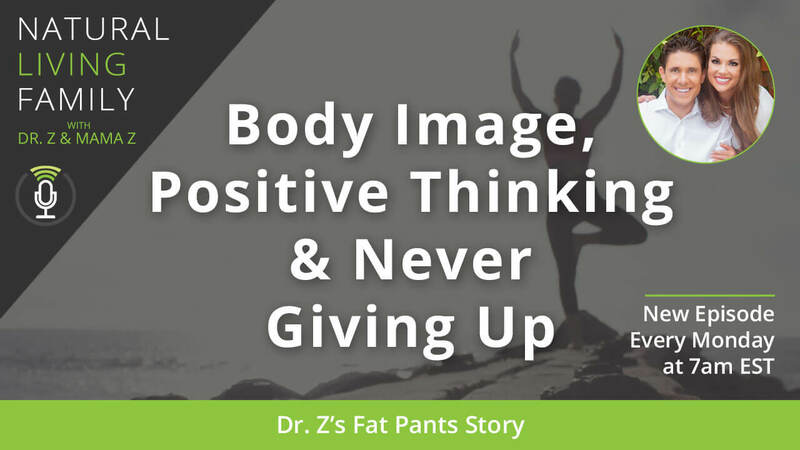 Dr. Z: Each week, we invite you into our home to talk about how you can master the art and science of natural living. And we share the same tips our family uses every day to enjoy an abundant life. And you’re going to love today’s talk. Mama Z: So come on in and get comfortable. After all, you’re part of the family, our Natural Living Family. Dr. Z: But before we dive into all the fun today, we’re excited to share a special note about today’s sponsor. Mama Z: What would you say if there was an online store that carries thousands of bestselling organic foods and natural products at 25 to 50% below traditional retail prices? Dr. Z: Well, we found it. And it’s called Thrive Market. Mama Z: Shopping at Thrive Market means supporting a select group of brands that make the world a better place. They sell non GMO foods, personal care products, ecofriendly cleaning supplies, nontoxic beauty products, our favorite kitchen staples, and so much more. Dr. Z: Plus, it’s all shipped straight to your door. This is our favorite part. Mama Z: As a special gift to our Natural Living Family podcast listeners, Thrive Market is giving you 25% off your first order. Dr. Z: Now, keep in mind, Thrive Market’s prices are already 25 to 50% off. And now, they’re giving you an extra 25% off your first order plus a free 30-day trial. Mama Z: Many of you will be making a grocery run this week. So why not give Thrive Market a try and shop from your home? Dr. Z: Simply go to NaturalLivingFamilyPodcast.com to find the special link so you could redeem this deal on the show notes from today’s episode. Yay! I am excited about this show for a million and one reasons. The first episodes were just like, whoa! Blowing off the charts on iTunes and the other places that people listen to podcasts. All the reviews, all the stars, all the ratings. We just want to thank you all for listening and thank you for you feedback and tuning in. Mama Z: Yes, absolutely. This has just been so much fun, too. So it’s great to connect with all of you. And it’s great to talk about all these topics because we can dive in so much more deeply in a podcast. Dr. Z: And this episode is when we flip the switch. So the first episode was all about why we started this, what is natural living, and all that stuff. And then last episode, episode 2, because so many people have asked us how we met, was our origin story. And we talked about me being an extremist and Sabrina being a control freak and how that really works together and how do we live and how we balance. And we hope that you got a chance to get to know us a little bit more because of that. Now, we have some really impactful meat that we want to cover. This is a meaty, meaty topic. And so this is episode 3. And we are going to help you overcome the stigma of natural living. 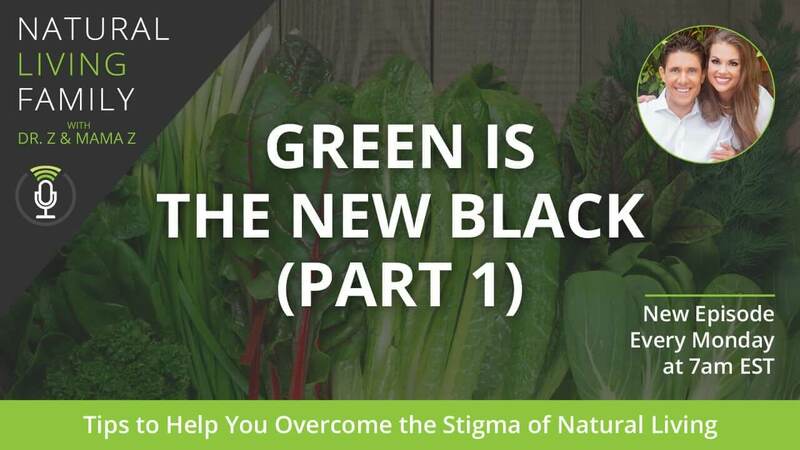 So even though healthy, natural living is “in vogue” now—green is actually the new black—you may be feeling some pressure by your friends and family to return to (what I’m doing air quotes) “the dark side.” The dark side, what is that? If you’re like us, your friends and family and coworkers may think you’re crazy for going gluten free or delivering your babies at home or even for not using Roundup to control weeds in your organic garden. Or at least, we have. And I’ll tell you. It’s been rough at times for us to manage this with our friends, our family, our neighbors, our coworkers. And maybe you’re even feeling a little alone, like Sabrina and I have. Maybe you feel estranged because you don’t go out to eat with your coworkers or attend after-church socials because you don’t want to be tempted to eat the unhealthy food that’s being served. Sabrina can relate to that. Or maybe you really, really want to nurse your baby. But you feel like it’s not social acceptable to breastfeed in public, which it really is in some places. And let me tell you. You don’t need to nurse in the restroom when you’re at the restaurant or at the mall. We’ve got a story about that. 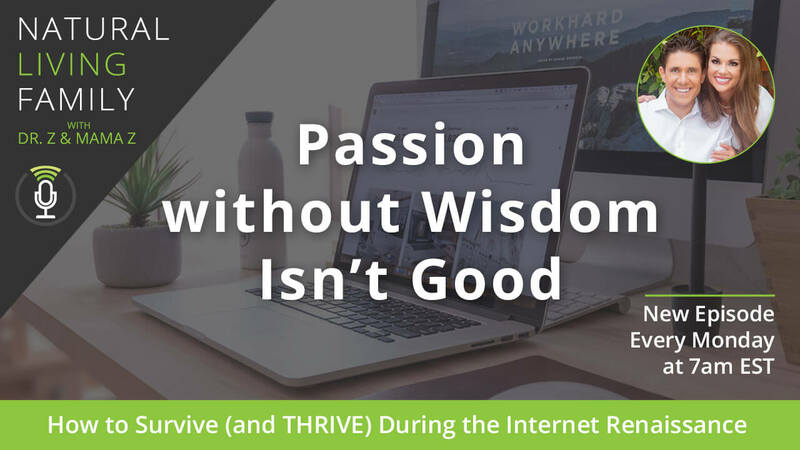 This is why we’re so super excited to share with you some of the strategies that we have developed over the years so you could start to overcome these stigmas now and even more. And be sure to stay tuned to the very end of this episode because you’re going to hear all about our lice debacle. And yes, I said lice. L-I-C-E. And Mama Z is going to give you her all-natural lice protocol that really works. But before we do, Sabrina, what’s in our diffuser? Because people always ask us. Mama Z: Everybody always asks. Dr. Z: What’s in our diffuser? Mama Z: So every time we meet, we’re going to have something fun in our diffuser and give you some great ideas of things to do. And so today has lemon, orange, and clove. And it’s actually half of our immunity blend. But that powerful combination helps to deter ants. You can clean with those three. They’re very uplifting. The clove, of course, the amazing antioxidants of clove. But literally, the smells together, when I opened the door—because I set the diffuser—I was like, “Oh my gosh! This is such a good smell down there.” I could smell it all the way from the top of the stairs. So enjoy this in your home. Equal parts of lemon, orange, and clove. Dr. Z: And I’m a walking diffuser because I’m just basically anointing myself with litsea. Litsea, also known as May Chang, is just great for respiratory support. But it keeps you focused and alert. One of my favorite—actually, we’ll save that for next episode. We’ll do my energy boosting, brain focus, superpower, got-to-get-this-job-done blend. Dr. Z: So remind me. Dr. Z: I’m making notes here. Okay, cool. Dr. Z: So here’s the thing, y’all. First off, we don’t want to freak you out. We want to encourage you to take the natural living plunge. It’s really easy nowadays. It has become much more socially acceptable and so much more than it was 15 years ago when we started living this way. Dr. Z: Yes, it was so hard. Mama Z: I remember a friend. I was house sitting for them. And I wanted to help by cleaning. And all they had was natural cleaning products. And back then, they were not very good. They weren’t! It was bad. It took me a whole day to scrub a tub. It was horrible. Dr. Z: When was this? Mama Z: I was years ago. Dr. Z: Well, give them credit, being ahead of the curve. Let’s give them a shout out. Mama Z: Yeah, I know. Dr. Z: Who? You don’t want to say? Dr. Z: She doesn’t want to name names. Mama Z: I never do! Mama Z: No. I know. Just I never call people out. Dr. Z: It’s a good thing. Oh, and by the way, before we dig any deeper, if you hear any craziness, our little baby girl is trying to get down on the podcast room. Dr. Z: That’s Bella. She’s like, “I want to play.” We actually have to bring Bella down here one day. Mama Z: Yeah, we will. We’ll bring her down. She is adorable. Dr. Z: The kids are at school. Whenever we do this, the kids are at school. Our nanny is upstairs with Bella. And it’s just craziness. But it’s fun. So joyful noise. Mama Z: Joyful noise, totally. But when you started getting really interested in a healthier lifestyle, I just remember going into the health food store, not even knowing where to start. And even in a very small health food store, not even knowing where to start. So it’s different than it is now. There are so many more things available to us. Dr. Z: Well, let’s talk a little bit how hard it was for us to shop and get food because this is a really good segue. Mama Z: Right. And so we have hacks for all of these things. Dr. Z: Well, tell them about where we used to live and what we had to do because we understand this. Mama Z: Yeah, so we had a small health food store in Midland, Michigan, which was right next to the Dow Headquarters. And it was just a small town. They ended up getting another health food store, so there are two now. But it was very small. And they were very committed to education and stuff like that. And they really made you feel at home when you came to shop at the store. But they didn’t have all the products that we needed just because they didn’t have a lot of refrigerator space and other things. And so Eric, being from the Detroit area, had a lot more things at his fingertips. He had Costco. He had some co-ops and Whole Foods, Trader Joe’s. So once a month, we would take our trip down to the Detroit area and literally stock up on all of our food. In fact, I had a spreadsheet in my computer. I kept a list of all the prices. And I went through my receipt. And I put the list of all the prices in just so that we would keep it organized so I knew where was the cheapest place to get everything and the best and the cheapest of everything. And this is long before Amazon and stuff like that. And then literally, we went to Lowe’s and bought a huge storage container. And my mom and I built extra shelves for it. And Eric put it together. And it was perfect because we could store all of our dry goods. And we literally shopped for the entire month. So we made the drive and shopped for the entire month. Dr. Z: Yup. And it was easy when we had just us two and then when Esther came. But when it came to all that food that we had with two, three, and then four kids, we needed a deep freezer. Right now, I don’t know how we would live without a deep freezer because we’ll buy something in bulk. And whether it’s frozen vegetables or frozen, organic fruits or whether it’s whatever it is—breads or things that we use on a regular basis—that’s been so key. And so imagine this. Imagine driving every month an hour and a half. And at one point, it was a chore. It was like, “Ugh. We’ve got to get our food.” And then we decided, “Let’s make it fun.” And that’s when it became a date. And then we had a special restaurant we used to go to. We had our whole little thing. I can’t stress enough the importance of what Sabrina mentioned about the spreadsheet, about comparison shopping because we just don’t get all of our food at one store. We go to multiple places. And now that we’ve been using Thrive Market for many years as well, that’s another convenience. And now that Whole Foods has this Amazon Prime option where people literally will deliver our groceries to us for free if you buy through Amazon Prime on Whole Foods app—are you kidding me? We’ll get groceries in two hours. Mama Z: Yeah, they call it Prime Now. Dr. Z: I love it. Again, we’re blessed to live right next to Whole Foods now. But before, it was all about the five Ps—proper planning. Mama Z: Proper planning prevents poor performance, yes. Dr. Z: And we made sure. So that was the key. And so Sabrina, just a couple tips because we actually have, about the film, a shopping tour with Chris. You’re going to Nature’s Corner Market. Mama Z: Yup, and we are so blessed. Dr. Z: And Whole Foods. Mama Z: Yes, we are so blessed, though, because we have just an amazing local health food store who’s totally committed. They actually take lower margins just to make sure that they stay competitive with places like Sprouts and Whole Foods. And they’re actually cheaper. And it’s because they’re so committed to the community. And so being that I came from working for the Chamber of Commerce and other things like that, that’s something that I’m really passionate about—shopping locally when you can. But there are so many things that we have advantages of by using Thrive and other places as well. But we can’t wait to show you our local health food store and help you navigate the health food store and just some of the pointers and tips and stuff like that because a health food store is designed for a couple reasons. When you first are making transitions into your natural living journey, they have things that are very comparable to what you’ve been eating. They have transitional foods. And then when you’re ready to take that journey to really tighten up your nutrition and stuff, they have things for that phase. So it’s nice because they have food for you in all the phases of what you’re going through in your health journey. Dr. Z: Well, if you’re in the North Atlanta area, Nature’s Corner Market is located in Woodstock, Georgia, and Marietta, Georgia, on the corner between Marietta and Kennesaw. This is right near where we live. And we love it. They have a great juice bar, smoothie bar. They actually serve fantastic food. Everything is gluten free there. Mama Z: We go on dates there. Dr. Z: That’s one thing, too. What do you do? What do you do when you can only eat at a handful of restaurants? Reckon I just need to talk about that next episode. But one thing we do is we’ll get food at Nature’s Corner Market, or we’ll go to Whole Foods and eat in their buffet before we go out to a movie or something because we don’t compromise. And that is going to be a really big part of episode 5 where we, again, talk about—oh, we didn’t even mention it to you all. See, one thing we do is we have a little conversation with YouTube and Facebook and the people that we stream with on video before we jump on. And we let everyone know about episode 5 coming up. We’re going to be talking about all good things in moderation. And we’re going to debunk the myth that all things in moderation are good for you because there are certain things you just don’t want to compromise on. Dr. Z: So we went shopping. Mama Z: Yeah, so we went shopping. We had everything in refrigerator bags. We went to the game. And then he picked us up and took us home. And so we made it part of what we were doing. And we made it part of our date night. And I remember my parents going grocery shopping as part of a date night. And I remember thinking they were crazy. But when we get time together, it’s not always to go to the movies. And we do fun things, of course. But sometimes, it is just to connect and go to the health food store. Dr. Z: Yup, and that restaurant we went to was a Persian restaurant which, by the way, out of all the different types of food, usually you can get very healthy food at middle eastern restaurants, whether you’re vegetarian, whether you like the kabob, the beef kabobs or whatever. So hey, one thing before we transition into—well, we have five. And we’re going to talk about today, nursing, home birth, work, using the crazy people label, and school. We’ll explain all that in a minute. So before we dive into that, I don’t want to gloss over this because out of all the things that you’ve done—you’ve done a lot of things that have impressed me in our world. But this has been one of the top three. Walk people through how you’ve comparison shopped and how you’ve scouted because we’ll go to Target. You’ll get stuff at Thrive Market, local health food store, Kroger, Whole Foods, Costco, you name it. We get things from a number of places because you know where to get the best stuff at the best price. So walk people through right now who are like, “Well, where do I start?” Open up Microsoft Excel and start a spreadsheet? Give some cool tips. Dr. Z: It is actually helpful. She’s like my GPS, the food GPS. Mama Z: So I have a photographic memory for the health food store. So anyway, it’s really important that when you do your spreadsheet—it doesn’t necessarily have to be by section (the dairy section, the bulk foods section, all that stuff) but just the way that you shop the store and naturally shop the store because one thing that I learned when I was in business college. I had taken, believe it or not, a fashion marketing class. And I learned about store layout and how they layout stores specifically, right handed stores and left handed stores, based on where the produce is and how they do it based on the type of people who are in that area. And so when you naturally flow through a store, it was actually thought out before you did that. So many people shop the same way. So the way that you shop the store, that’s how I write my list. And that way I know where I’m going. You follow your list so you’re not like, “Number 1 and then number 100 and then number 3 and then number 4 and then number 66.” That way, when you go into the shopping store, that’s how you want to write your list. 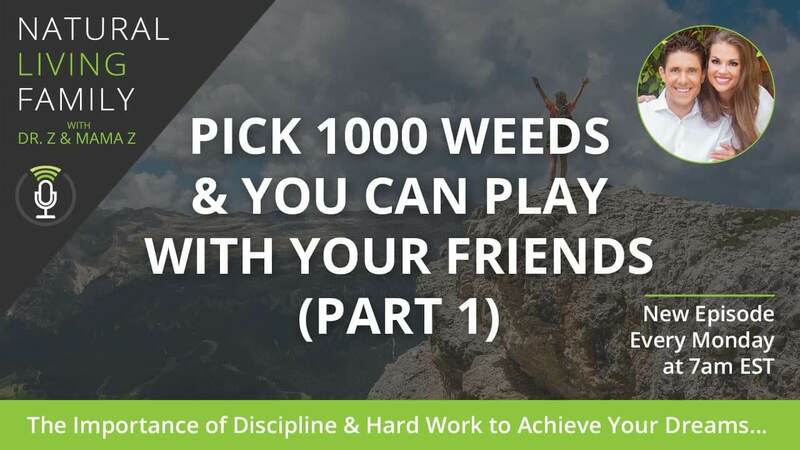 And if you already have it on a spreadsheet, then you already know what it’s going to be like and what you need and what you go through on a monthly basis. And so for us, now that we have a family of six, and when we started having children, we started buying in bulk. And so it’s nice because certain places, like Whole Foods, will give you a case discount. So we would buy case discount things there. Dr. Z: And a case isn’t a million. Mama Z: No, it could be six. It could be six. Dr. Z: Like organic coconut milk yogurt. That’s six. So it’s not a ton. But it’s still six, though. Mama Z: But because we go through it a lot, though, when I am at the local health food store, I always will pick one or two more up. Or if it’s that time of the week and we’ve gone through more yogurt or Dr. Z has wanted to make a healthy smoothie bowl and put a ton of yogurt on it, then I might need an extra one or two. So I make allotments for that as well. There was an article about Costco and how it had more organic things than Whole Foods. And so I thought, “Gosh! That’s so interesting!” So I started looking. And it sure does, number one. But number two, a lot of the bigger produce—and because we use so much of our organic produce, we’ll buy at Costco. And when we do our gathering for every Sunday during the warm seasons, we play volleyball. And so I always want to make sure if I do a fruit tray or a veggie tray that it’s absolutely fresh. And there’s nothing fresher than local produce. So I always try to get that at our local health food store. So you have to go to the store. And you’ve got to go to whatever these stores are that are local to you or really close to you, whether it’s Costco or Sam’s club, whether it’s Publix or Kroger, whether it’s Meyer up in the north or whether it’s Wal-Mart, whatever you have available to you. And you want to put a list of the foods that you need. And then you want to go shop around and find out where you could find the best prices. Mama Z: So when we first started that list, we went to Costco. They had the natural food patch, if you’re in the Detroit area. Dr. Z: Yeah, Ferndale, Michigan. Love that. Miss them. Mama Z: They had definitely co-op pricing. But you didn’t have to pay a membership. And they were very committed to the local community and sourcing local, organic farms and other things for dry goods and whatnot. So they had such a good selection. And they had a good selection when it came to supplements and other things like that. And when we first started out, I actually bought duplicate things. I bought things from there, from Whole Foods. I came back and literally reported on my spreadsheet because at first I wasn’t sure how much we used of everything. And then I got the lay of the land. And I keep my things in containers and whatnot. And then I’d start writing my list for next month. I’d go back to my large container that we had all these dry goods just to see how we were doing, if we needed more of this or more of that. Look to see what was the cheapest price. Had that price written down and circled so I knew which thing. And then always double checked that because the prices change. I remember when Hayne sea salt was Hain sea salt was 49¢ for one container. And now it’s up to over $2 in some places. Dr. Z: Whoa! 2 bucks? Dr. Z: I had no idea. Mama Z: It’s so interesting. So I still remember when it was 49¢. Dr. Z: That’s because you’re that old. Mama Z: I’m not that old, okay! Dr. Z: It’s back in the day. Was that when you walked uphill 10 miles to school in the snow? Mama Z: Both ways with an instrument? No, that was my mom. Dr. Z: That’s awesome. Alright. So I think you all got the tip. Just the gist of what we’re trying to share is that—and I would suggest make it fun. Go to Whole Foods with your hubby, with your wife. Mama Z: Yeah, Eric would be strolling in the bulk foods section. Mama Z: And I have tested out so many things. Mama Z: Yeah, I love Cappello’s almond flour pasta. Dr. Z: Unbelievable! It tastes like legit pasta from Italy. Mama Z: Yeah, homemade, yeah. Dr. Z: And it’s almond. Mama Z: And it’s fresh. Mama Z: And they do freeze it. But it’s amazing. It’s so comparative to making your own at home. And because we do take time to make gnocchi and other things like that in a healthy way—and we can’t wait to share our recipes with you. Dr. Z: Yup, the Italian cooking class is coming up. Mama Z: Yes, it’s coming up. Dr. Z: Gluten-free Italian coming out in April. Wow! We’ve got a lot going on. Dr. Z: Italian Gluten-Free Cooking. You have Simple Sensational Salads. Your Organic Gardening Made Easy. Dr. Z: Are you the marketer? People have to know what this is. She just wants to say, “Take my gardening class.” What’s that mean? Mama Z: I just call it Garden Class. Or Salads. Dr. Z: “Take my exercise class.” No. High Intensity Interval Training with Mama Z.
Dr. Z: Yeah, good one. Anyway, it’s all these things. So exciting. Mama Z: So much fun. Dr. Z: All right. Hey, we’ve got five. We’ve got to dive in. Nursing. We’ve got to knock this out. Can I just say? Dr. Z: You don’t have to nurse in the bathroom, in the stall. Tell about our Olive Garden story. This was ages ago. I remember, what? Two years into our marriage? Mama Z: So this is the thing. Mama Z: So we had our first baby at home. And I always jokingly call the first two weeks of nursing the razor blades phase because it is. And anybody who’s nursed knows the first two weeks is a more painful time. But after you get through that, you can get through anything, or first two, three weeks. So we’d been through the razor blades phase. One of our relatives graciously blessed us with a gift card to go to the Olive Garden because they figured we could probably have salad. They might have gluten-free something or other. And we’d probably need a date out. That was Aunt Sue. So we went. And I’d been around kids for so long. And just have siblings and other things, we know how loud it got with three girls, a girl dog. And when we get together with our family, we had 17 grandchildren. And everybody’s in the house. We’re used to all these baby noises and all this stuff. And everybody nursed. So it was not like something weird. And I had cousins who had home births and stuff like that. So it was something that I was accustomed to. But Eric wasn’t. So here we are at the Olive Garden. And Esther starts to fuss. And I always know, especially helping so many women out with nursing, that if my baby fusses, the very first thing I’m going to do is offer them the breast because that is going to solve about 90% of the problems. And everything else is probably dirty diaper, wanting to be extra held, or whatever. Dr. Z: And it wasn’t—let me. Okay, in my defense, two things. First of all, yes, I was never breastfed. No one in my family, immediate, that we spend time with on a regular basis was breastfed. I’ve never seen anyone breastfeed for the first literally 20 years of my life, as far as I know. And I think the only time I ever saw anyone breastfeed was a National Geographic piece on women of Africa. And women are just naked anyway in Africa. That’s just how it was. Documentary. And so, yes, first, I will say. I was not as concerned about that as I was—it wasn’t immediate. And here’s what triggered me. It wasn’t like she started nursing, and she was quiet. There was a transition. It was like, she was like [imitates baby fussing]. Dr. Z: She was fighting. She was fighting. And Sabrina wanted to easy her into the nursing. And still, baby is infant. And baby is still figuring this out. And what triggered me was the fussing. What triggered me was the screaming and the crying. And here I am. Mama Z: And it wasn’t even that bad. She goes, “Where am I going to go?” Where did you go? Mama Z: I went in the bathroom. Dr. Z: She went in the bathroom. I’m so embarrassed by that. She should’ve gone in the car. I should’ve gone to the car. Mama Z: No! You should’ve just chilled out and let me nurse my baby because my baby is hungry. Mama Z: Well, there is once they get a chance to nurse. But when you’re first nursing, they’re figuring out the latch. And she was a little tongue tied and all that stuff. Mama Z: So here I am. Dr. Z: But anyway, ugh! Mama Z: So here we are. I go into the bathroom. Mama Z: I sit on the toilet. And I nurse the baby. And then I’m like, “Oh my gosh! What do I do about changing the diaper?” I didn’t see any diaper thing. And brand new baby. It’s like that commercial where you’re first mom. You want to set down 100 wet wipes before you put your baby down and all this stuff. And then by the second kid, you give them to the dirty mechanic, and you write your check. It’s so the truth! Dr. Z: I’ve had to do that. I’ve had to change Esther on the floor because there is never a changing station in the dude’s room. I don’t know what’s up with that. Mama Z: It’s getting better. It is. It’s totally getting better. Dr. Z: Just line it out with toilet paper and paper towel. It’s horrible. Mama Z: Yeah, and I’ve traveled so much with these kids. I’ve got my system down at the airports. We go to the bathroom as soon as we get there. We go to the bathroom right before we get on the airplane because if they haven’t gone yet, they’re going to go by then. And so you get your system down. And then he calmed down a lot. It took him a little while before he calmed down that he could relax a little bit more when we went somewhere. And so the next place that we went was Ruby Tuesday. We went to the salad bar at Ruby Tuesday. Dr. Z: And by the way, as far as we still know, they don’t spray their salad bar with pesticides and preservatives, which is the only place Sabrina can eat a fresh salad like that. So tip for those people who like to go out to eat. Mama Z: And Chipotle. They have fresh greens that aren’t sprayed. Dr. Z: It’s not a salad bar, though. And, “Oh, that’s to spray the greens with preservatives so it lasts longer.” So when they have a wedding, then the next week, they’re able to use that on the buffet, that kind of thing. And not that they used the Johnson wedding salad at the buffet. But they order in bulk. So they’re using things. And they make dishes based on what they have whatnot. So there’s a percentage of waste. Dr. Z: Back to nursing. Dr. Z: Seriously with it. Go on. Mama Z: So anyway, we’re there. Dr. Z: We’ve got to give nursing tips. Dr. Z: Okay. Seriously. So don’t think you’ve got to go nurse in the stall. Mama Z: Yeah, you don’t. Dr. Z: I’m sorry. I’ve repented to you over the years a hundred million times since we’ve done this. And I get it. I am much more in tune with just how things should be in life. But I want women—and I want men, especially, listening to realize. Look. There’s nothing obscene at all about a woman breastfeeding in public. She doesn’t need to be in a tent. She could just do it openly. And that’s fine. I want to encourage women that it is the most natural thing on the planet. Breast milk is the best food (period, exclamation point) for a baby. And there’s a reason why, folks, cancer patients are going to milk banks to consume breast milk because it is the healthiest food on the planet. Period. Mama Z: And I’ve been a milk donor for that. Dr. Z: Yes, that’s a whole other topic. We actually should do an episode just on milk production because you’re like a cow. Literally. Dr. Z: Oh, hundreds. You had 200 bags leftover till the first month. Mama Z: 400 after the first couple months. Dr. Z: So anyway, wrap this up because we want to talk about. We have home birth, work. We’ve got so much to talk about! How do we do this? Mama Z: So a couple things with that. Every time when our babies were born, I designed a blanket. And we had gotten a blanket with Esther at Christmas. Our pastor had given out blankets that year at Christmas and had Esther’s name embroidered on it. So I made a couple extra because I remember my sister not wanting to go take a nap because her blankie was in the dryer. So I was like, “We’re not doing that.” So we made duplicate blankets. And then every other baby, I had three blankets that we made. But the other thing is that as you get comfortable nursing places, you have to remember, your baby has to eat. And there’s actually a city around here where we live where it’s illegal to nurse in public, which I think is absolutely crazy. And guess what? I have nursed there in public in my car. Dr. Z: In public just to spite them. Dr. Z: Are you sure? I want to look that up. Dr. Z: That can’t be true. Mama Z: It’s in Alpharetta. Alpharetta, Georgia. Dr. Z: Really? Alpharetta, Georgia? Dr. Z: Fact checker. Snopes. The fact checkers at Snopes. Mama Z: It could be different now, but it was then. Dr. Z: I’m going to check it out. I don’t think so. Mama Z: So it’s just really important that you stay comfortable because your baby is going to pick up on all of that stuff. And I remember one flight. I was in between two guys. And my arms could barely even fit. And I’m trying to nurse this baby. And that was a full flight. And I thought, “Oh my gosh! This is for the birds.” So if you’re on a full flight, it is worth the little bit of the upgrade just to have some arm space to be able to nurse your baby. So we started doing that after a while. Dr. Z: Nurse with confidence. Mama Z: You have to nurse with confidence from the start. Dr. Z: Nurse with confidence. And we’ll have a lot more to share about—I’ve got to cut off the nursing wagon here because you’re going to go on for another 20 minutes on nursing. I love it. But we’ve got a lot more to share. Seriously, I’m basically the facilitator for Sabrina. She’s the Energizer Bunny. Okay. Let’s give baby stuff a break. We’ll go back to home birth if we get a minute. We might have to actually home birth has to be next episode. I don’t know. There’s so much here. This is important. You mentioned this. Mama Z: I think you’d want to do two part 2s. Dr. Z: I don’t want to have to do three here. We might have to do three. Okay. So here’s the thing. Let’s transition to using the “crazy green people” label to your advantage. You just told how you use the nursing mom card to get extra seats on the airplane, which I’ve seen it. It’s almost without fail. If there is space, she’ll get her own row. So how do we use the “crazy green people” label to make our lives maybe a little easier? But before we talk about that, here’s a quick note about our sponsor. [Doorbell chimes] There is nothing like hearing the doorbell of the delivery person letting me know that a Thrive Market package has landed on our doorstep. It’s like Christmastime every time we get a package. Mama Z: Yes. From ingredients to snacks, it’s so awesome. And the kids go nuts. Dr. Z: We love Thrive Market—the convenience, the price, and just the movement because we know that every dollar spent goes towards a more sustainable, healthy, natural world. So if you haven’t joined, then what are you waiting for? You’re going to absolutely love it! Dr. Z: You’re nursing your baby. Your bare breasts are hanging everywhere. You’re like, “Whoa!” Ya smell like diffuser. Mama Z: So especially lawn care people. We have an amazing guy who takes care of our lawn and the other things. And we work together. He helps me out when it comes to planting day. And I’m so blessed that we have extra help. And he utilizes the products that I have to do what we do. But we do have these people who have come to try to sell us every kind of lawn service, spraying service, anything under the sun, moon, and the rainbow at our front door. “Well, yeah, that’s how you get the grass to grow.” Or, “That’s how you kill the bugs.” Or whatever. And I’m like, “Are your products totally green?” And I’ll ask them this series of questions like this. Dr. Z: You’re usually nice about it. Mama Z: I am. I’m really sweet. Dr. Z: You’re coming across a little snooty right now. Mama Z: No, no, no! I’m really sweet. I’m smiling. Dr. Z: Okay, okay. You’re like [growls]. Mama Z: The one that you saw me out there. Dr. Z: You looked beautiful. Dr. Z: I’m like, “Oh, you’re bringing back the 50s.” Anyway, she’s like the—anyway, you’re being sweet. Your smile. Mama Z: And the thing is that my dad is an agroscientist. So he has pretty much created some of these chemicals. And that’s a whole other topic. So it’s really important. I know what’s in these things. And I know what I will and won’t do. Dr. Z: No, thank you. Mama Z: So when we’ve had neighbors who’ve had stuff put on their grass, you can smell that stuff. It’s horrible. Dr. Z: Can’t let the kids play on it. Mama Z: No, you can smell it. It’s out there. I remember that as a kid my dad would say, “I’m going to spray. So you can’t go out there for three to four hours.” Or whatever. And it’s a horrible smell. So anyway, we don’t do any of that kind of stuff. We use essential oils for a lot of it. Dr. Z: We actually do have an organic gardening episode. I think it’s coming out in a few. Mama Z: We will. We will. Mama Z: Most people who come to our door end up confused. When you go to Disney—and we have season passes. We went to Disney World last year five times. I took the kids five times. And Sabrina had a chance to go most of those. And sometimes, it’s just my little breakaway to give Sabrina some time off when she’s preparing for a pageant or something. Five times. Here’s what Disney protocol is. We call it the Disney protocol. You let them know ahead of time that you have any sort of food sensitivities or allergies. They give you a special menu. They have it documented. Mama Z: It’s in your account. Dr. Z: No! And here’s the thing. Again, I don’t want our brothers and sisters in Christ to stone me here. This is where there’s a gray line between truth and falsehood. Are you allergic to gluten? Or are you sensitive to gluten? How do you really define that? Are you allergic to dairy? Or are you sensitive to dairy? And guess what, people? When you go to a wedding and you go to other places, they always have a certain amount of meals—or even a business event—that they already know that they’re going to have people that they have to make accommodations for whether it’s vegetarian, vegan, gluten free. Dr. Z: So what do you tell them? So we call ahead. Mama Z: So I always call ahead. Mama Z: Yup, I call right to the venue. You never want to mess with the people because if you’re going to a wedding, if you tell your friends, they’re dealing with enough stuff with their wedding. So then you call the place because they’re going to have a coordinator. And most of the time when you have as many sensitivities or allergies as we do, you’re going to speak directly to the chef. So you want to cut out all the middlemen because by the time it gets there, it’s going to end up fried on your plate. Dr. Z: That’s what happens at Disney. When we order the chef comes and orders the allergy-friendly stuff. And then the server is there to help with the drinks and everything else. Mama Z: So even when we go to a very allergy-sensitive place, I still have to make modifications. And as a regular practice, though, we don’t eat out. As a regular practice and if you’re trying to lose weight or you’re trying to be healthier, you really have to learn to be at home because any sauces or any dressings or any anything is going to have all the stuff that is going to cause your body to have problems. So what I usually do is I order a dry salad. I bring my own salad dressing because I can fit salad dressing in my purse. I can’t usually fit the whole meal and all that other stuff in my purse. Dr. Z: Well, we have miniature little vinegar and oil bottles, really tiny ones. Mama Z: That we get from a gourmet vinegar and oil shop. There are so many articles out there about having real olive oil and real vinegar instead of stuff that’s modified. Dr. Z: And here’s a pro DIY hack. What are you all doing—I’m looking at my video here. YouTube, Facebook. What are you all doing with your essential oil bottles that are empty? Dr. Z: You disinfect them. You clean them out. You put them in the dishwasher. And now, you can actually put a little bit of olive oil and vinegar in it. And that’s your to-go salad dressing. Again, there are so many ways to use this stuff. Mama Z: So many. We do that. Dr. Z: So what you could do simply is if they’re serving fish, everyone does grilled salmon. Just no sauce. No sauces. Mama Z: So what we do is I do no oils because we don’t want to use canola oil or anything like that and stuff. Dr. Z: And they always do peanut oil and junk. Mama Z: So you don’t want any of those. Mama Z: So I steam it. Mama Z: We steam salmon and have lemon squeezed over top. And then whatever the vegetable is, I make sure that there’s no oil, no nothing on top at all. I have that just steamed and then brought out. And if they have brown rice or quinoa or something like that, then typically we’ll do that. But then on the salad, I usually have a little bit of fruit just to touch it up because if it’s going to be dry like that, it just helps spice it up. And then for dessert, I usually just do a little bit of a fruit plate. And that’s it. And every place is like, “Oh, wow! That’s so easy. We thought you were going to do all kinds of other things and have us have to cook and do—” No, I try to make it just as what they’re doing but make it so that we’re not going to feel horrible when we leave. Dr. Z: If they’re going to serve potatoes au gratin, just say, “Just give me a baked potato, just a clean baked potato.” And if you do butter, you can have a little side of butter. There are so many different ways. So just wanted to let you know. But use it. We call it the “crazy green people” label. Just say, “Look, I have some food sensitivities and allergies. And I need to speak to the chef or need to speak to someone.” And just so you know, you will get what you need. Mama Z: Alright. So I just want to tell them really quickly what’s in my purse. Mama Z: I wouldn’t need to bring a purse. Dr. Z: We’ve got to tell this lice story. We’re out of time. Mama Z: I know. Oh, I will. I totally will. Dr. Z: We’ve been promising this lice story for two episodes. Dr. Z: Seriously. We haven’t even touched base on home birth and work yet. Mama Z: We’ll get there. Dr. Z: We’re going to have five episode on this one. Dr. Z: You guys like this? I hope you like this. Mama Z: Oh, I hope so. Dr. Z: Give us a comment. Dr. Z: Because I’ve got to keep her on track. Your purse. Mama Z: So in my purse, I’ll have a liquid stevia. I’ll have an olive oil and a vinegar. I’ll have my nontoxic, organic lipstick. And that’s about it. Mama Z: Oh, and Bragg’s aminos, yes. Bragg’s aminos. Mama Z: Little spray bottle. Dr. Z: Substitution for soy sauce. And it’s a great flavoring enhancement. Mama Z: It is. I use it for so many different things, Worcestershire sauce, other things in the kitchen. So in my little bag—most people have other things. But that’s all I need because I know he’s carrying money. So I don’t have to carry any of that. So I just carry all the other condiments. Mama Z: I totally did think we could. Dr. Z: We’ve got to get better at this podcast thing. Someone told us you’re not supposed to have a podcast more than 45 minutes. I’m like, “Okay.” We’ve got a timer. For those of you who are watching with us, we’re looking at this timer. We’re at 47 minutes. I’m like, “Ah!” Okay. We’re going over today. So next episode, overfl—you’ve got to hear this home birth story. Bottom line, she got kicked out of her OB clinic because she gave birth at home. We’ve got to talk about that. We’ve got to talk about how to survive work and social lunches and when you go out with friends and just that aspect. We gave you a little bit of tip here. But there’s more to it. So okay, the infamous lice story. And we’re going to cover—don’t talk about food. That’s next episode. Nothing about food. We’re going to talk about how to survive being the crazy green people at school when it comes to food, when your kids are being fed junk cupcakes and all that stuff. Lice. Dr. Z: This is a doozy. Do you have your protocol? Dr. Z: Where is it? I want to see it. Mama Z: It’s right there. Dr. Z: Crazy story. Abbreviated version. Dr. Z: You’ve got to do this in two and a half minutes. Or the podcast gods are going to shut us down. Mama Z: Well, that’s not going to happen. Dr. Z: Studies have shown that if you have a podcast too long, people tune out. Mama Z: So when Esther was in second grade, I was at the gathering at the first—it’s a couple weeks after school. And I remember one of the moms sharing with me that she had heard that one of the girls in the class had had lice. And I’m like, “And she’s at school?” I never had lice. I didn’t have experience with that. I remember neighbors having it but not us. We didn’t have it. So she started scratching and stuff. Well, I remember clearly. I was doing her hair on Sunday morning on the toilet. And I was sitting down. She was on the floor. And I’m doing her hair. And I saw something move. And I had never seen a lice before. Mama Z: I had never—a louse, whatever you want to call i.
Dr. Z: Yeah, a louse. What is it? A louse, a lice? Mama Z: I don’t know. Anyway, it was horrible! I was like, “Oh my gosh!” So I freaked out. I was like, “Eric, I think Esther has lice.” So of course we didn’t go to church that morning. Dr. Z: What did she do? Did she share a scrunchie with a girlfriend? Mama Z: It was a hair tie. It was a hair tie. Dr. Z: Oh. The hair tie. Mama Z: It was a hair tie. So anyway, we had to have that discussion. Now, she’s paranoid. She won’t even use my hair tie that is plastic that’s been in my drawer. She is so over paranoid now. She said, “But bottom line is that you have to have something that’s going to break down the skeletal structure of them.” And it’s the same kind of thing. You have to have a surfactant like coconut or whatever to break down the skeletal structure because that remains the same. And it has to happen. And it has to happen in cycles because you have eggs. You have little babies. And then you have the full, mature ones. Dr. Z: We were washing her sheets every day. Dr. Z: I feel so bad. Mama Z: Under the water for 11 hours. So people think, “Oh, I take a bath. Blah, blah, blah. It’s not going to happen.” But they can hold their breath for 11 hours. But oil drowns them out, especially olive oil. A very thick oil helps to drown them out. So just preventatively and because I knew I had long hair. I knew that she had used my brush in the shower because I had caught Eric using her brush. See, when I was young, we each had a set of brushes and combs that were our color. Nobody could use them except for us because of the threat of lice. But we never got lice because we all had our own stuff. We never used anybody else’s stuff. And I mixed essential oils in because there are certain essential oils, especially the more menthol-y ones. And I’ll go over my protocol. But we put them in our hair. I literally doused our hair. We looked like a sumo mud wrestler. Our hair is up in this bun. And then for sleeping, same thing. Dr. Z: Not like the hard tub. You’ve got to clarify a little bit. We put pillows. And we have a comforter. But it’s contained. That way they’re not throwing up all over the bed. Mama Z: But for the lice protocol, I was like, “No pillows. No nothing.” I rolled up the top of the blanket and created a pillow with it. Dr. Z: Yeah, gave her a comforter that we could wash.
Mama Z: Right, right. And so I washed that comforter every day. Dr. Z: So she basically slept in the tub. They watch on their iPad. It’s kind of fun. The kids actually like going in the tub because we make it fun. Mama Z: Yeah, we make it fun. So what we did was we put a towel down under her head because obviously the head is going to get oily and stuff like that. And then we put a shower cap on. So I had a shower cap on us, all this stuff. But initially, we went to the drugstore, got one of the combs at the drugstore. But it wasn’t a regular Terminator comb because it has micro combs in it. Dr. Z: A nit comb or whatever it is, yeah. Mama Z: And it needs to be one of those because they are the only ones that get the things out. So I let her soak for a number of hours. And then I washed her hair. And I had her upside down. And I started running through with the comb, through the hair. It was hundreds and hundreds and hundreds that came out. It was so disgusting. So then I did it again a couple hours later. And I had my hair just up in the oil the whole time. I just put more oil on. And then what I did in my room is—everything was washed. So I took and I put my pillow in a shopping bag. And I put a towel over that just to protect it because I knew lots of oil. So again, I didn’t think that I was going to have lice. Dr. Z: [Sings Beethoven’s 5th Symphony theme] It’s the revealing, the lice revealing. I told her what I did. And she was like, “That works. Most people don’t know how to do that kind of stuff.” And I literally just found the research and created my mixture. And of course, the babysitter didn’t have it. It was me and Esther. So the enzyme treatment you do initially. And then you do a couple days later and a couple days after that. But every morning, I washed her hair and just picked through everything. We waited. She had a certificate that she was free of lice. She could go back to school, all of that stuff. And I remember going to school. And I wanted to be honest because, guess what? The people whom we got the lice from weren’t honest and didn’t tell school. And so I wanted to be open and honest and say, “Guess what? This is the issue.” And immediately, for shame. They knew we are the natural people. And hey, this ain’t our fault. Mama Z: Right. So I was so offended. We got a message, “Oh, we have an outbreak of lice. Nobody bring your backpack to school.” Well, for us, that’s a super punishment because we have to bring so much stuff to school because we’ve got all the books. We’ve got our home lunch. They don’t ever get the school lunch. We’ve got all of our snacks. We’ve got our water bottle because we use our water, all this stuff. So I’m like, “There is no way. I have a special spray. All the bags were treated. Everything was treated in the entire house. So I know it’s not from her bag. And she is bringing her bag. But just so you know, I didn’t, like, bless and amen and put a couple essential oils on and call it good and let her go to school. She has a certification here.” And I went through everything that I did and the countless hours that I did within the house and what I did. And you know what? She never got it again. Other people had had multiple bouts or other things like that. And we haven’t had it again in our household. Dr. Z: And I think that was the beginning of maybe a shift with how the school viewed us because we’ll talk next episode, if we ever get to it, about vaccines because we don’t vaccinate our kids. And how do you navigate that? And so I was just asked to be on a parental advisory committee for the school. So obviously, they respect us and respect what we do. But they’ve seen us time and time again. Mama Z: We’re very consistent. Dr. Z: Everyone else is getting the flu. Our kids aren’t sick. This crazy lice outbreak, our girl was the one back on track the natural way. And when it comes to how they eat and how consistent we are. So anyway, share your protocol. Dr. Z: I don’t think it affects lice. It’s a topical thing. Dr. Z: Well, I’d argue on that one. Let’s go to the protocol. And we’ve got to wrap it up. We’re at 60 minutes. The big clock is looking at me. Mama Z: So we used 3 ounces of extra virgin olive oil. Dr. Z: Repeat that. Repeat that. I’m sorry. I’ll be quiet. Mama Z: 3 ounces of extra virgin olive oil, 5 drops of all of these essential oils: so 5 drops of eucalyptus, 5 drops of peppermint, 5 drops of lavender, 5 drops of lemon, 5 drops of tea tree, 5 drops of rosemary essential oil. And you combine all of those together. And then I recommend putting your hair up into a ponytail or a bun and saturate the hair completely with the mixture. Then put a one-time-use, plastic shower cap on the hair. And then you want to encase your pillow with plastic, a plastic bag (put a towel over the plastic, of course, because you don’t want plastic on your head) on the pillow. And then in the morning, shampoo and condition your hair using a special Terminator lice comb and comb through all the strands. So one thing that was recommended is that you comb it from the back to the front and then the front to the back or vice versa so that you hit all of the areas because some areas get missed if you go from just front to back or from back to front. Dr. Z: What about the shampoo? Didn’t we use Fairy Tales or no? Mama Z: We did use Fairy Tales at first. But Fairy Tales does also have a sulfate in it. So if you do have allergies to that, there are other alternatives. And you can also use these essential oils that are in this. I used the Desert Essence Organics unscented shampoo and conditioner and added the essential oils then to that. Dr. Z: That’s a good idea. Mama Z: That’s what I did. Dr. Z: So Fairy Tales is a brand that you could get on Amazon. Or like she said, just get an unscented shampoo and just add these essential oils. Mama Z: Absolutely. I do, however, like their spray, though, that they have, their detangler spray, because it also has the same essential oils. And it’s pretty safe. Dr. Z: Yeah, I don’t think that has any preservatives in it. Mama Z: It does not. See, that’s why it’s hard, y’all. Mama Z: The shampoo does. Dr. Z: You know what I mean? You have to look at the label because some have preservatives in it. Other products don’t. And it doesn’t make sense. But either way, we beat this thing! Mama Z: Oh yeah! So then you want to repeat this process every night or every other night when you’re getting to the place because you have to get through where the small eggs are big enough that you can get them out of your hair or that they’ve matured and that they’re nits. You get everything out. So then you want to do that until lice is gone. We did this process for two to three weeks. Twice a week, I also used an enzyme treatment as well. And of course, you want to pick out every nit with the Lice Terminator comb, which will help break apart their skeletal structure with the enzyme treatment. And because lice can hold their breath for 11 hours under water, oil is the only thing that will suffocate them. And my note, of course, is what I had said before, that you can use the same essential oil combination—the eucalyptus, peppermint, lavender, lemon, tea tree, and rosemary—in an unscented Desert Essence Organics. Or of course, you can use the Fairy Tales brand because it is gentle. But it does have sulfates in it. So if you are sensitive, then make your own. Dr. Z: Wow! Wow! Wow! Well, I’m bummed we didn’t get a chance to talk about home birth or work and how to navigate the employee/employer situation. But next week. Dr. Z: Next time. And that’s why you’ve got to tune in to part 2. There may be a part 3. If we keep on going, there’s probably going to be—how many parts can we do? Mama Z: Like I told you. I said, “We could probably talk an hour about each one of these points.” I know we don’t have that kind of time. So we’ll Reader’s Digest version it. Dr. Z: I know! We have to. Folks, thank you so much for listening. Dr. Z: And especially for those of you who are tuning in to the stream on YouTube or Facebook. And if you’re not, just so you know. We record this. And this is something that we like to do as well because, hey, if we’re going to be getting together, Chris is awesome at the audio. Chris is also awesome at the video, our podcast producer. And he’s like, “You know what? Let’s just put this up on YouTube and Facebook and put this up on our website and stream it out there.” Tag along. Hang out. And see what we’ve got going on. And then you could just see us behind the scenes. Mama Z: Or travel in general. Dr. Z: We’re going to cover that. And to wrap up today’s show, we have a special natural living tip for you. Mama Z: One of the stigmas people have about natural living is that it’s too expensive. But that’s not true at all. Here are some tips on bulk shopping and some of my favorite, best shelf stable items to buy. Keep a lookout for when these items go on sale. And stock up on them because they are shelf stable and can be stored in your pantry. First, organic canned beans for your taco salads, coconut milk for your lattes, and tomato paste for your spaghetti sauce. Next, organic tortilla chips and snack bars are also great to have on hand, especially for the kids. And don’t forget your toothpaste, shampoo, and conditioner. And as you may have guessed it, you can find all of these products at Thrive Market. Dr. Z: As a special gift to our podcast listeners, Thrive Market is giving you 25% off your first order. Mama Z: Keep in mind, Thrive Market’s prices are already 25 to 50% off. And now, they’re giving you an extra 25% off your first order plus a free 30-day trial. Dr. Z: Now, many of you are going to be making a grocery run this week. So why not give Thrive Market a try and shop from home? Mama Z: Simply go to NaturalLivingFamilyPodcast.com to find the special link so you can redeem this deal on the show notes from today’s episode. Dr. Z: As a reminder, you can find all the Natural Living Family Podcast episodes, show notes, transcripts on NaturalLivingFamilyPodcast.com. And while on our website, please, please, please don’t forget to sign up for our weekly podcast newsletters which include a personal invitation to join our private Facebook group. So you can connect with me and Mama Z. And you can also meet thousands of other natural living lovers just like you because you’re not alone. You’re part of our family. And don’t forget. Please subscribe. And leave a review on this podcast platform. We love hearing what you have to say about our show. So with that said, Dr. Z here. Mama Z: And Mama Z.
Dr. Z: And our hope and prayer is that you and your family truly experience the abundant life. God Bless y’all! In today’s “internet renaissance,” people have access to more information than ever before. But this brings major problems. Learn to thrive! Get concrete tips to help you improve your body image and an easy tip for getting started with fitness. Join us today for this life-changing episode! 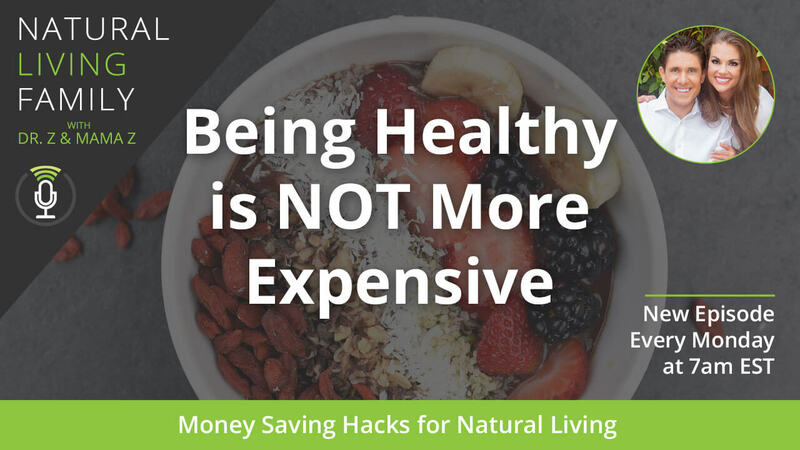 It's time to debunk the myth that healthy living has to cost a lot. 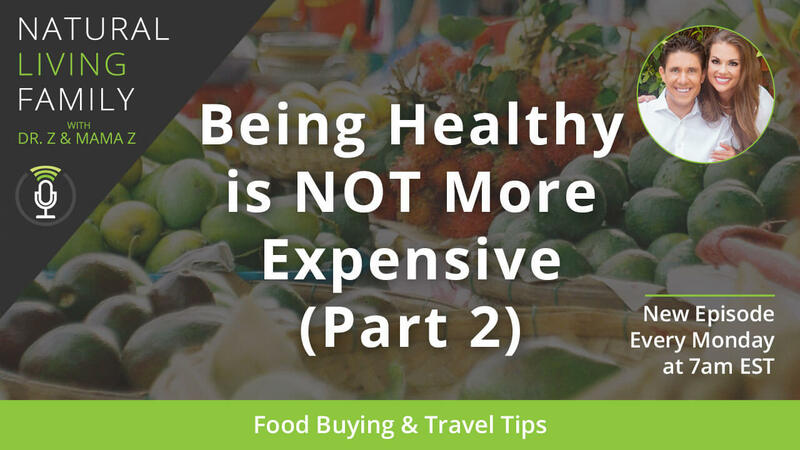 Learn how to save money with food buying & travel tips and more! By making smart life choices, you can have a happy, abundant life and live healthy on a budget. In fact, you may even save money! 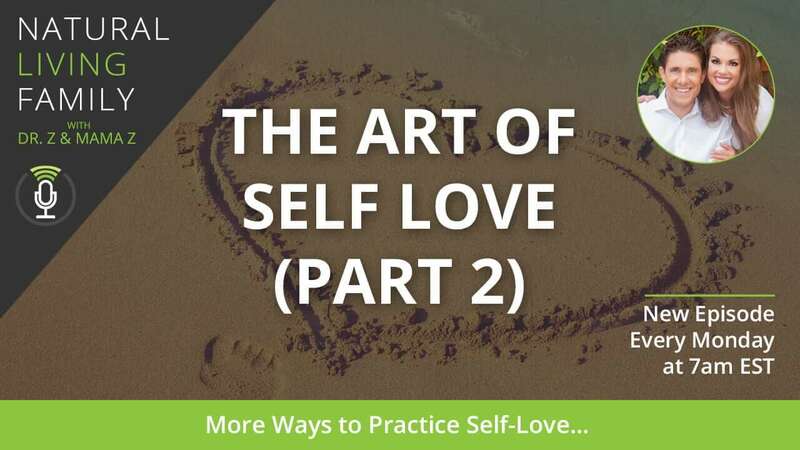 See some of our favorite ways to practice self-love as we further explore Kim Morrison's fabulous and insightful book in our natural living family podcast. Learning to love yourself is critical in the quest for abundant living. 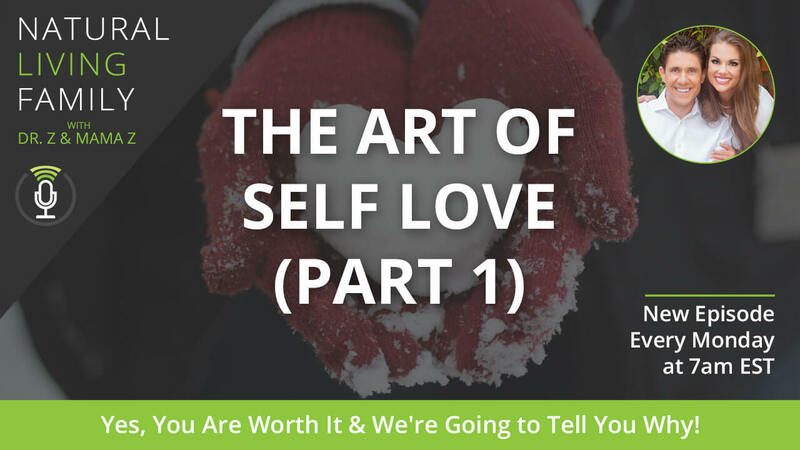 From digital detox to family traditions and more explore the art of self love. 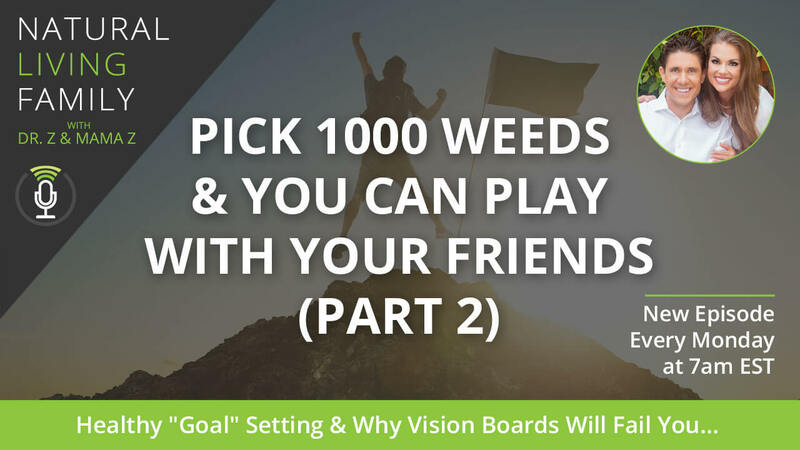 If there's one thing we've learned in our journey so far, it's that there is more to success than goal setting and vision boards. Learn true success tips. One of the keys to achieving your dreams and goals is learning the importance of discipline & hard work. Don't worry - we'll show you how this is doable! Family Tips and News that you can use! © 2014-2019 DrEricZ.com, LLC. All rights reserved. Sitemap.